This project will look at updating occupational skill standards ensuring that racing integrity and animal welfare skills and knowledge critical to the industry are reflected in training. Training Package Projects are established only when a Case For Change has been approved by the Australian Industry Skills Committee (AISC), in line with the National Schedule. Following this approval, Skills Impact and the IRC take the Training Package Project through a process that adheres to the 2012 Standards for Training Package Development. This project reviews relevant greyhound racing components of the RGR08 Racing Training Package to ensure it is able to support the industry in ensuring the industry has access to best practice occupational skills standards that will assist in addressing issues related to the management of animal welfare and racing integrity. The industry’s ability to demonstrate high levels of compliance and participant behaviour needs to be improved, as a failure to do so could result in potential industry closures as recently occurred in NSW. The NSW government reversed this decision following industry’s commitment to improve its ability to demonstrate participant behaviour acceptable to current community standards. By registering your interest, you will be informed of project updates. Thank you to those who provided feedback on the draft units of competency, qualifications and skill sets. The feedback will inform the work on the final draft of units, qualifications and skill sets which will be available for industry validation the last week of May. The drafts that are under review are listed below. *Please contact us if you have any problems accessing the zipped files. Note that many of these units were still under development at the time the RGR Training Package was transitioned from Agrifoods to the Racing IRC and Skills Impact. The review was not finalised nor published on training.gov.au. The Racing IRC has continued the review with semi-completed drafts supplied. Feedback from industry consultation has supported the following outcomes for these units. RGRPSG408 Oversee greyhound health and welfare Unit deleted – other behaviour and welfare units enhanced. Thank you to those who participated in the validation process for the final draft units of competency, skill sets and qualifications. The consultation period for this Validation stage of the project is now closed. The final drafts have been forwarded to the Racing Industry Reference Committee (IRC) for sign off. After final quality assurance of the drafts, they will be submitted to the Australian Industry and Skills Committee (AISC) to consider and approve for publication on training.gov.au. Validation means checking or proving that something is logically and factually accurate. Industry views were sought on whether current racing integrity and animal welfare for greyhounds has been incorporated into the following units of competency, skill sets and qualifications. The final draft units, skill sets and qualifications that were available for industry validation are listed below. 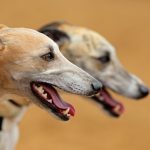 The Australian Industry and Skills Committee (AISC) has approved the Case for Endorsement for the updated and revised qualifications, skill sets and units of competency for Greyhounds, along with a Companion Volume Implementation Guide. The revised qualifications, skill sets and units for Greyhounds will be released on training.gov.au in December 2017. (The greyhound qualifications relied upon units that were being updated as part of the Equine Safety in Training Project and contained within the ACM Animal Care and Management Training Package, which has just been endorsed by the AISC). Once published on training.gov.au, registered training organisations (RTOs) can apply to deliver these qualifications, skill sets and units. The courses will be available to any person in industry who wishes to undertake nationally recognised training. The Companion Volume Implementation Guide contains key information to help training providers implement the units, skill sets and qualifications, including the key work and training requirements in the industry; regulation and licensing implications for implementation; pathways advice; industry sectors and occupational outcomes of qualifications; and advice on workplace health and safety implications. Please find below copies of the final documents that were endorsed by the AISC. Following endorsement by the Australian Industry and Skills Committee (AISC), the final qualifications, skill sets and units of competency are now published on training.gov.au, which means they are available for use by registered training organisations (RTOs). The revised qualifications, skill sets and units are embedded within the RGR Racing Training Package (published on 18/12/2017). This project reviewed and updated the qualifications, skill sets and units to incorporate current racing integrity and animal welfare practices. For further details about the development of this project, please click on the green project arrows above. Registered training organisations (RTOs) have 12 months to transition to deliver the new and update qualifications, skill sets and units, from the date of publication. For more information, visit the Australian Skills Quality Authority (ASQA) website. Companion Volume Implementation Guides have also been produced to help training providers implement the new and revised qualifications, skill sets and units. These can be downloaded from VETNet.com.